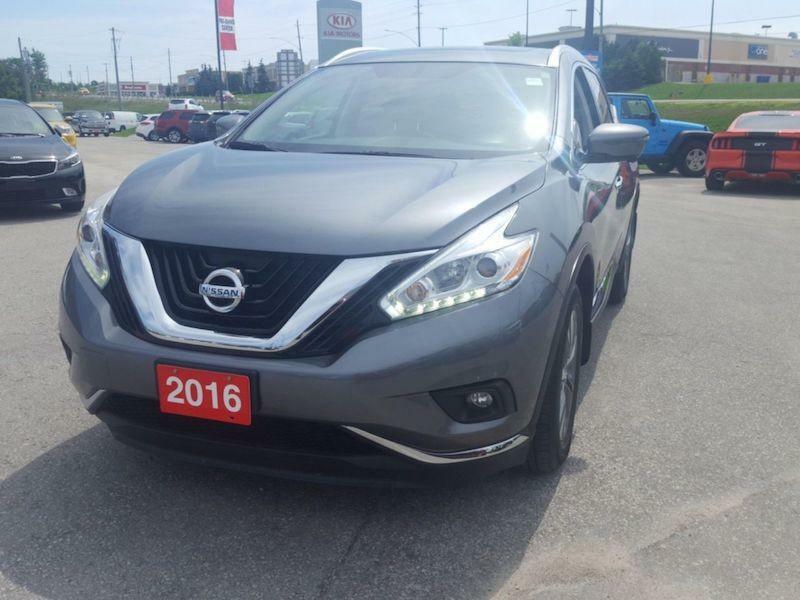 This 2016 Nissan Murano is for sale today in Owen Sound. Enjoy a premium crafted crossover experience. 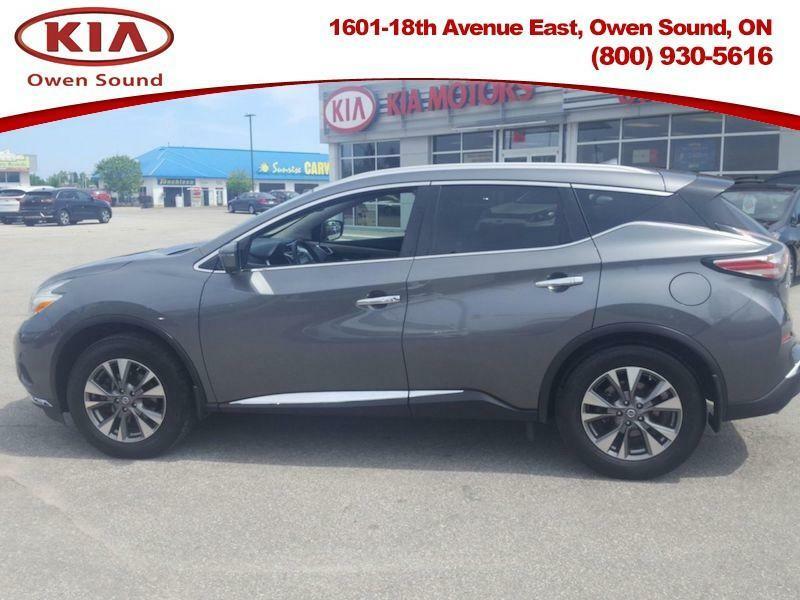 This Nissan Murano leads with innovation and follows through with devotion to the smallest detail. An unmistakable exterior draws you in. The well-appointed interior creates a personal environment for the driver while keeping your passengers comfortable. A potent drivetrain delivers confident, refined control. Embrace the details. Delight in technology. It all starts with a touch of the push-button ignition. This SUV has 56509 kms. It's grey in colour. It has a cvt transmission and is powered by a 260HP 3.5L V6 Cylinder Engine. 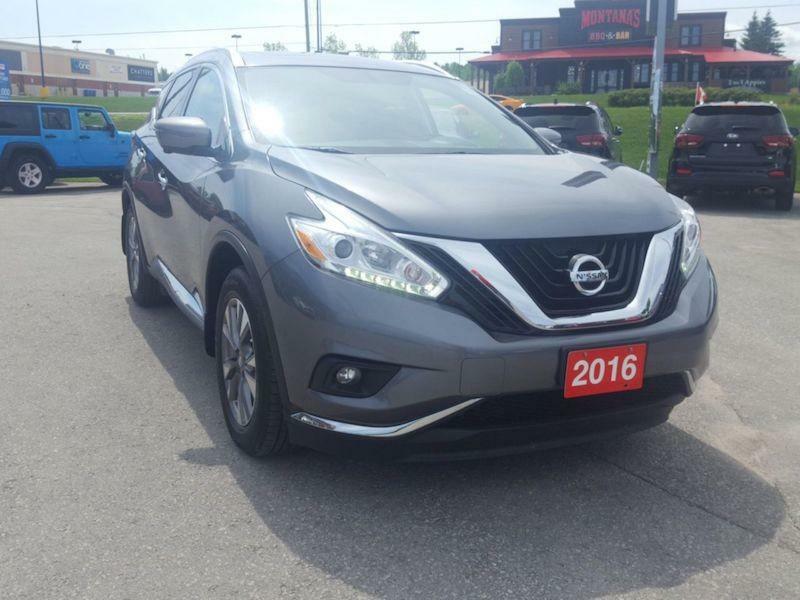 This vehicle has been upgraded with the following features: Sunroof, Navigation, Leather Seats, Premium Sound Package, Bluetooth, Heated Seats, Heated Steering Wheel. It has some remaining factory warranty for added peace of mind. Buy this vehicle now for the lowest bi-weekly payment of $182.45 with $0 down for 84 months @ 5.00% APR O.A.C. ( Plus applicable taxes - *Financing and term to be certified by Dealership (DEMONSTRATION ONLY) ). See dealer for details. Good Price- $1899 BELOW avg.